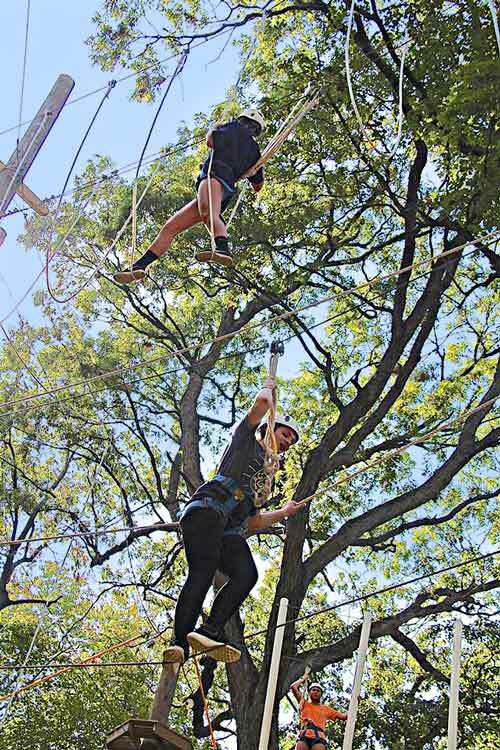 Our two level, multiple exit ropes course is another opportunity for your retreat to have a shared experience that produces growth after you have left Great Oaks. Participants can choose to brave any number of our seventeen elements, while receiving help from those around them and encouragement from the ground. You can walk off the bridge, climb down the net, or even use the zip line to get off the course. Our staff will be sure to relate this experience to the purposes of your retreat and allow the participants to relate their experience to life outside of Great Oaks. Launch yourself off of our twenty four foot high platform across the valley, three hundred and twenty feet, to the other side with two others in your group. 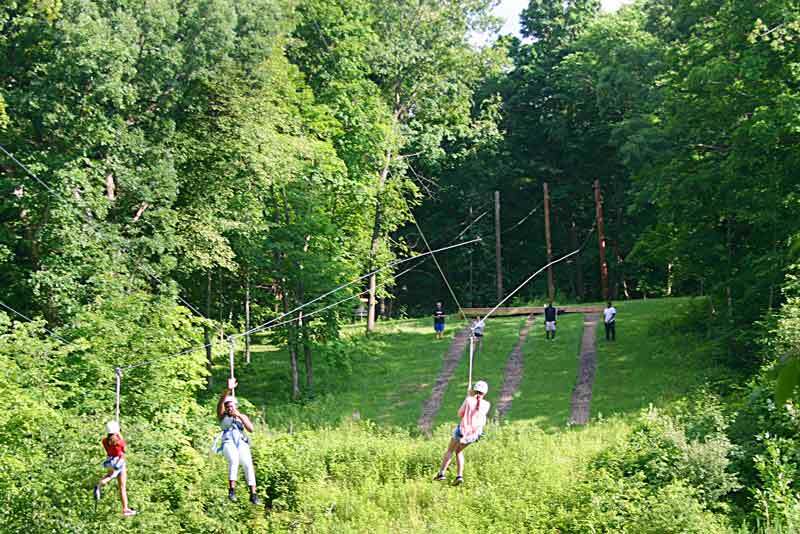 Our three person zip line is a great opportunity for a zip line experience with group members by your side as you zip together. A steep walk up the stairs, and you are there. A great stand alone element that allows participants to challenge themselves and trust the group they are with. Participants climb a twenty four foot pole, stand on top and jump for a bell. We can facilitate it in pairs or one at a time. Our staff also walks the group through how to control the climbing rope (called a group belay) in order to keep everyone safe. 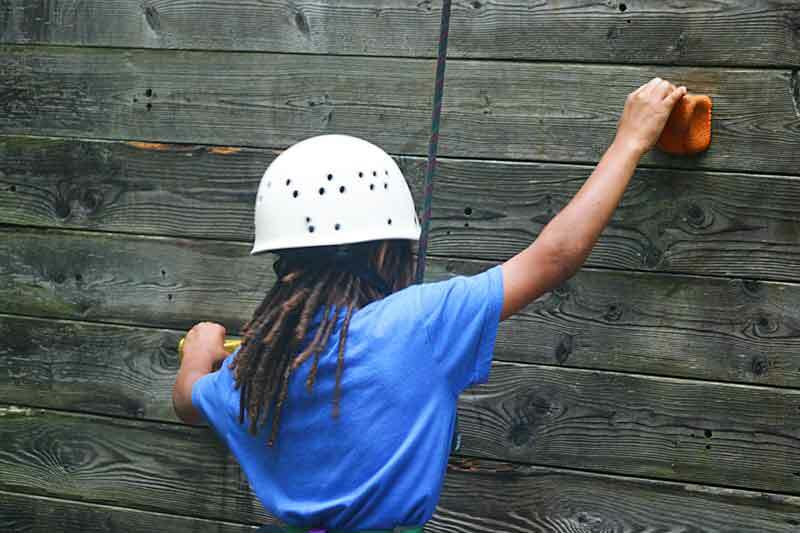 We have a thirty four foot climbing wall, great for people who have never climbed before and our staff knows how to challenge those who climb regularly. A great kick starter for conversations on goal setting, encouragement and perseverance. 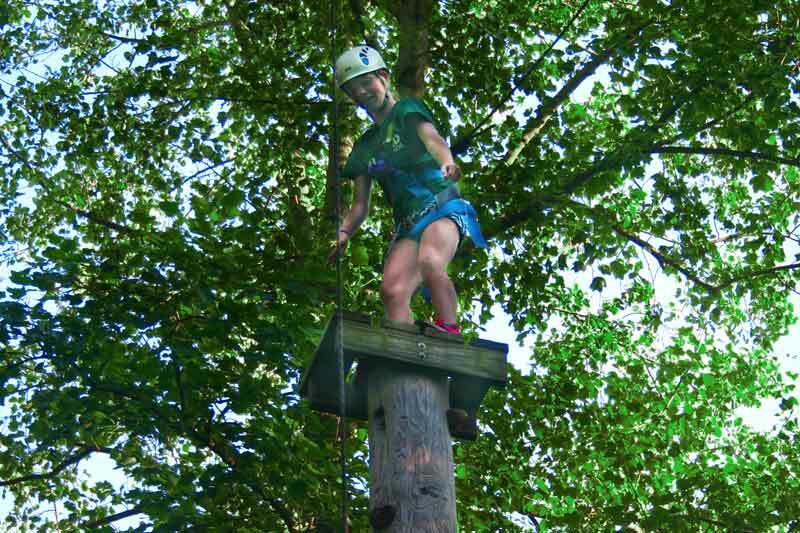 The Vertical Playground is a series of vertical challenges participants have to climb. It is controlled by a group belay and we can have two climbers at once.